To celebrate sixty years since it was formed on 6 March 1959 by the Rotary Club of Taunton, the League of Friends Musgrove Park Hospital held an anniversary dinner at Oake Manor Golf Club to mark the occasion. Nearly 200 people attended the event at which the Mayor of Taunton Deane Borough Council, Councillor Catherine Herbert was present along with Chairman of the Hospital Trust, Colin Drummond, President of the League of Friends, Christ Cutting and Chairman of the League of Friends, Peter Renshaw. Guests were entertained at the end of the evening by Dr Phil Hammond who used to work at Musgrove Park Hospital and, in addition to working as a GP, is now a writer, journalist and comedian with regular appearances on Have I Got News For You. Over the years the League has provided over £6m towards equipment in the hospital as well as providing a retail outlet, a trolley service around the wards and a bungalow for patients’ relatives who need emergency accommodation. 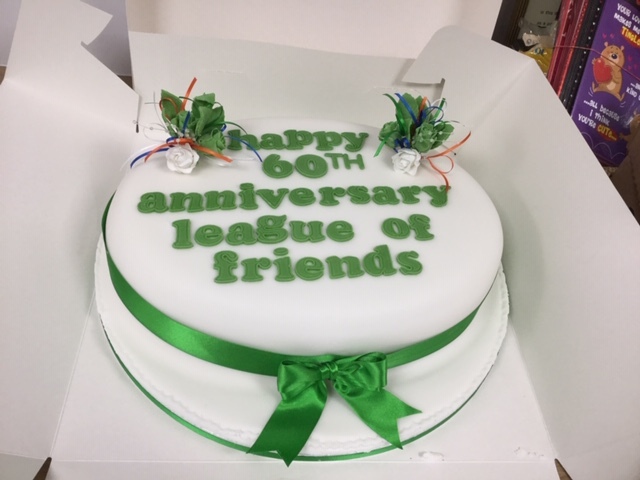 Volunteers continue to raise money for the hospital and to mark the League’s sixtieth anniversary, the League of Friends is committed to raising £300,000 towards improved facilities in the Bracken Birthing Centre.